If you've been wanting to start the new year fresh with a new poker account, we can offer some extra incentive to get started with free money. 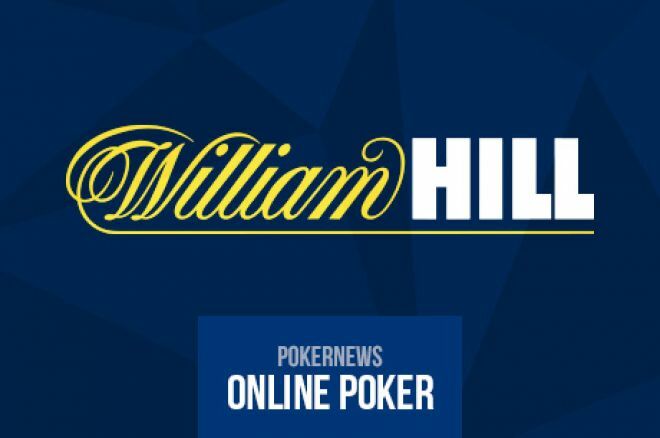 The good people at William Hill Poker want to reward you with a huge welcome package to see why so many online poker players choose this site as their home. Less known in Canada, William Hill is a huge gambling giant in Europe with a long history. You can reward yourself lavishly today with a fantastic welcome package with all the perks listed below just by signing up to William Hill Poker through PokerNews Canada and making a deposit of at least $25. Let's break down what you will be getting when you download William Hill Poker through us. The $10 in free cash is yours to do what you want with. You can check out the exciting cash games or test your luck and skills in some of the many lower buy-in tournaments available in the site's tournament lobby. The five free Twister tickets can potentially turn out to be a pot of gold. If you aren't familiar with Twister, it is a three-max hyper-turbo sit-and-go where the prize pool is randomly determined between 2 and 1,000 times the buy-in. Most of the time you will be playing for €4 with your €2 tickets, however, you may get lucky and play for the biggest prize of €2,000! The 200% first-deposit bonus up to $2,000 is one of the biggest deposit bonuses you will find anywhere. The more you deposit, the bigger the bonus you can earn. William Hill Poker will give you plenty of time to release the full bonus. In fact, you have 90 days to do so and will be paid off in partial increments. For every 425 WHPoints you earn, $5 is transferred from your bonus into your William Hill account, providing you a steady stream of free cash into your account for three months. This amazing welcome package won't be around forever! Download William Hill today and get your hands on this fantastic first deposit bonus before it is too late! Head to our William Hill Poker promotional page for more information about this great welcome package.